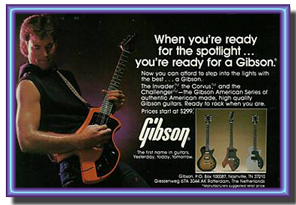 In 1982 Gibson came out with a very strange, odd-shaped electric guitar, featuring a solid-body... offset V-type cut-design with a bolt-on maple neck. 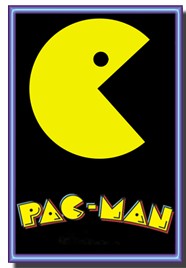 It had a Rosewood fingerboard, 2 Humbuckers and two volume controls... and they called it the Gibson "CORVUS II", nic-named the Pac-Man Guitar. The pick-ups go from very bright & clean to a warm full-sound with GREAT TONE. The "CORVUS II" Humbuckers are NOT real hot. These pick-ups don't do what most Gibson's do, meaning that the sound is NOT Big and Meaty... but these Corvus Humbuckers are way more subtle with a more rich and refined sound. 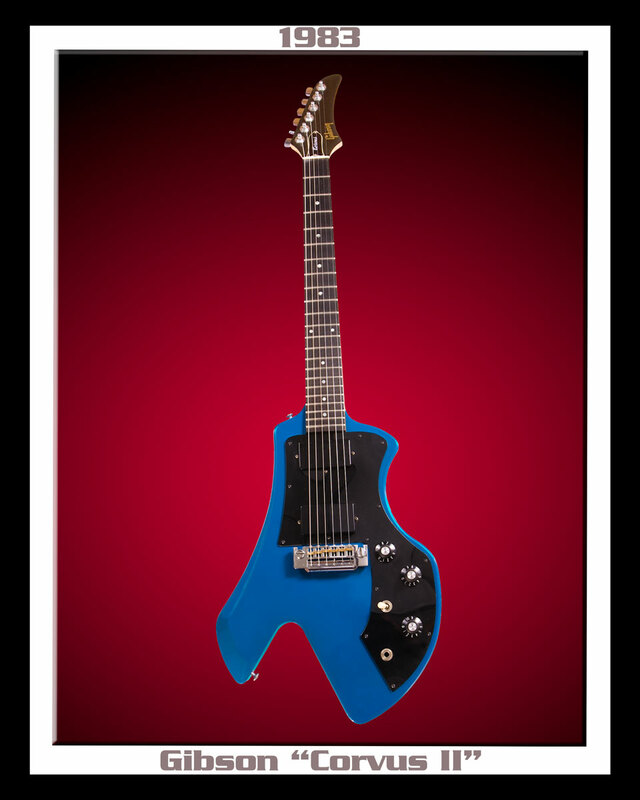 You can pull some GREAT sounds out of this "CORVUS II" from Blues to Surf to Funk. 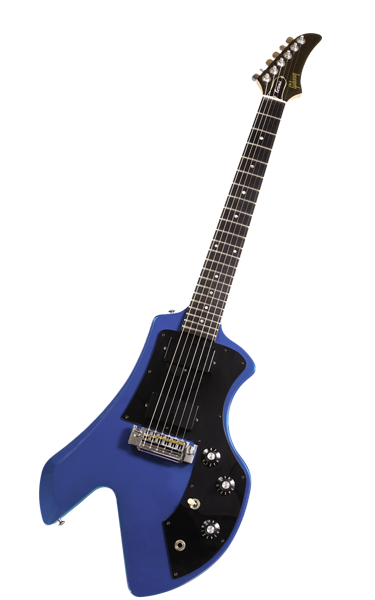 This particular Corvus Guitar is very different from other Corvus models I've heard... it has very odd killer over-tones. Its tone quality is a "SOUND" that I haven't heard before. It puts-out a harmonic frequency that is remarkably similar to those late 50's and early 60's Fender STRATs on a number of settings.